We were so excited recently to find that we had been recognized among several other wondeful Virginia B&B’s for our notable breakfasts. Jim Jim the Baker man was particularly happy since he is the baker in the family! He took an original Thomas Jefferson Recipe and combined it with a eastern shore natives recipe, Susie Mapp and added a Bay Haven Inn tweak or two and Wahlah! 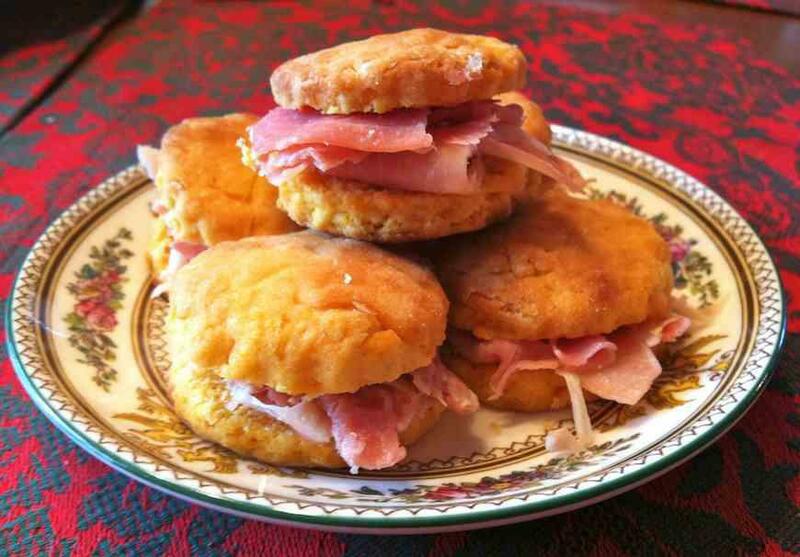 The biscuits are a two-bite sized golden orange biscuit, finished with a brush of butter, filled with the finest Virginia Edwards ham and then the real choice begins…which of Tammy’s homemade jams do you add? Ginger Fig, Peach Pepper or perhaps a combo of all three Pepper Peach and Fig! Of course you can be a purist and enjoy them just as they are, either way you will be wanting more before you leave the Bay Haven Inn!